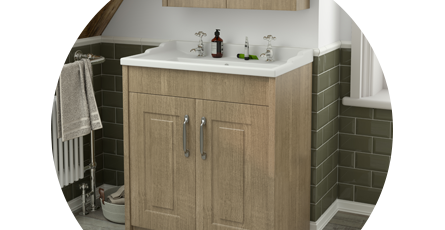 Our stylish York traditional bathroom furniture collection will complement any period bathroom. The gorgeous raised wood detailing perfectly captures the look of bygone eras. Storage is essential in any bathroom and our York traditional furniture will allow you to keep your toiletries neatly displayed while also keeping things looking stylish at the same time! The York furniture range comes in an array of stylish finishes including white, grey and wood. This means you can easily give your bathroom a striking, coordinated look. Love this bath panel only problem bath quite high so plinth wasn't big enough to fit have to get a white conti board to go with the panel. Lovely unit love the basin design so easy to clean.